Are you considering renovations for the inside or outside of your home? Are you having a challenge figuring out the best way to fund your project? Well, Ygrene might provide the answer for all of your needs and allow you to tackle all of your energy efficient projects at one time. 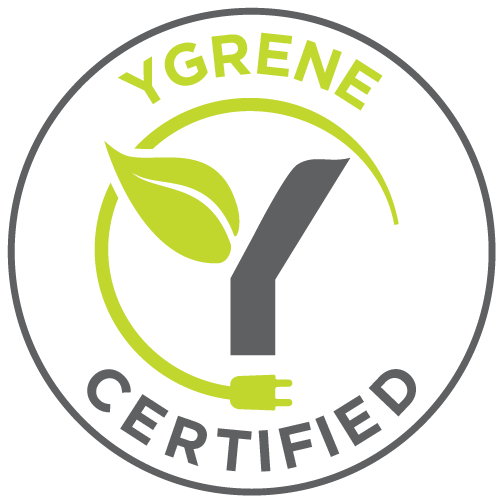 Ygrene is a provider of clean energy financing for residential and commercial properties throughout the United States and INSTALL-IT-DIRECT is pleased to announce it is now a Certified Ygrene Installer. YgreneWorks is a privately funded program that offers financing for projects that offer energy efficient solutions to your home. In relation to INSTALL-IT-DIRECT Inc., it can be used to finance your Paving Stone or Artificial Grass project. By installing Pavers or Artificial Grass you are becoming water wise and reducing the footprint of your yard that requires watering. Artificial Grass projects can be financed for up to 15 years which coincides with the length of the Manufacturer Warranty. For a Paving Stone project, financing can be as high as twenty years. We have helped homeowners that use all or a portion of their approved financing for their hardscape or artificial grass needs. A typical scenario may be a homeowner using their funding for solar, insulation, energy efficient windows, roofing, drip systems and tankless hot water heaters. Anything related to energy conservation. I field many calls from homeowners that have either completed portions of their project or are in the process of coordinating multiple facets of their projects. Many have funding left over from another project and most are starting fresh with a hardscape or artificial grass improvement. One of the many advantages for homeowners is that you can select contractors that specialize in each field to complete your work. Ygrene is a PACE program (Property Assessed Clean Energy) and works directly with your local city or county government. The partnership enables the program to provide low cost financing with zero money out of your pocket. Ygrene offers 100% home improvement financing for up to 20 years with low fixed interest rates and no money down. It is one locked in interest rate for the term of your loan. Your Ygrene payment is added to your property tax bill. If you make your property tax payment monthly on your escrow account then it is added as an additional line item. If you pay your taxes on November 1st and February 1st the amount of payment is due at this time. If you pay your taxes twice a year, you may not see your first payment for months after your project’s completion. Because the cost of the project is added to your tax bill, it is tax deductible. Also, because it is part of Senate Bill 555 it is a Mello-Roos special tax and 100 percent of your payment is tax deductible. Although the interest rates may be higher than an equity line of credit when factoring in the advantage of tax deductions and energy savings over the course of the loan the numbers work very favorably. A Ygrene specialist or an INSTALL-IT-DIRECT Design Consultant can help explain the advantages of the program over traditional financing options but as with any major decision related to financing and taxes it is advised to consult with your accountant or tax preparer. If you sell your home the payments of the Ygrene financing transfer to the new owner. Because it is under SB 555 it will not attach a lien to your home and the remaining balance will transfer to the new owner. This allows you to only pay for the improvements while you use them. How to get started and checking your eligibility? It is a simple process to get started. Visit Ygreneworks.com and under Check your Eligibility enter your property address, City, State and zip code along with your email. I followed these simple instructions and it instantly showed me the amount I was pre-approved for. If you have any questions there is a tab for contacting Ygrene directly or another tab for applying. What are the qualifications and criteria for approval? No credit scores are needed in the process. Finding and selecting a contractor? Certified Ygrene installers are listed on the Ygrene website. If you would like, you can apply and be pre approved for Ygrene and know your approved amount for financing. This may be a great option as you will know your budget ranges and possible payment options. When you call INSTALL-IT-DIRECT I will be happy to share budget ranges with you. I will just need basic dimensions for your Artificial Grass or Paving Stone project. If you would like, I can schedule a free Design and Estimate Consultation. Ygrene has been very helpful in providing information and training our team. We can also provide you with contact information for our assigned Ygrene representative. If you choose to wait for approval, we can visit with you for your Design and Estimate Consultation. After you have determined the scope and materials of your project we will provide you a detailed project estimate and can then phone Ygrene and help walk you through the approval process. Why would a contractor participate in the program? We have found that Ygrene and PACE programs are very easy to work with. From a contractor’s perspective they provide options for homeowners that may increase their opportunity for becoming more energy efficient and realizing their dreams of added curb appeal and enjoyment of their yards. Much like INSTALL-IT-DIRECT, they are focused on customer service and satisfaction. Every time I have reached out to them the wait is short and the answers come quickly and professionally. How does INSTALL-IT-DIRECT get paid? Another reason why we enjoy working with Ygrene is the ease of payment. As a consumer, you will have no money out of pocket. You will get your approval from Ygrene and sign a certificate of completion at the very end of your project. We then get paid from Ygrene very quickly after the signature of completion is signed and emailed to Ygrene. *INSTALL-IT-DIRECT Inc. does not provide tax advice; please consult your tax advisor for deductibility.